(Left to right) Hawaldar (Retired) Maroko and Majeedullah khan. Majeedullah Khan has been framed as a RAW agent without any proof. He was tortured severely. Chairman of the Balawaristan National Front (BNF), Abdul Hamid Khan sheds light on the dire situation in Pakistan occupied Gilgit-Baltistan. 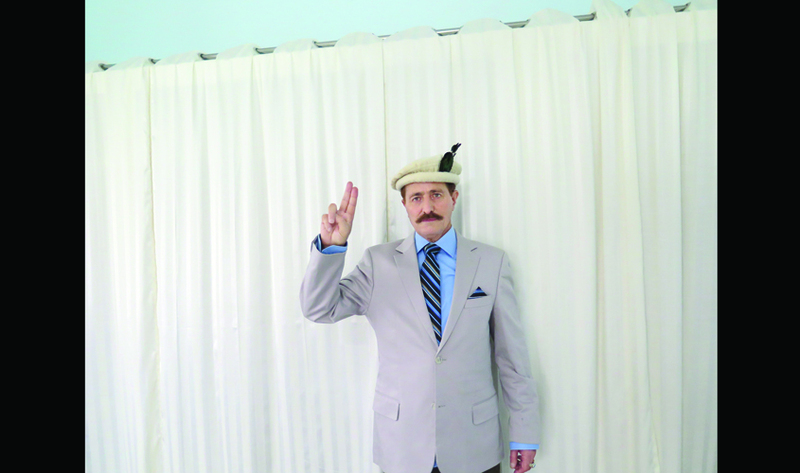 The chairman of the Balawaristan National Front (BNF), Abdul Hamid Khan, who lives in Belgium in political asylum, spoke to The Sunday Guardian. BNF is regarded as the most important voice of the indigenous people of Gilgit-Baltistan. Khan said that the people of Gilgit-Baltistan, who are engaged in a freedom struggle with Pakistan, want to join India. Q: You recently said that the residents of Gilgit-Baltistan will vote to join India. What is the reason behind this statement? A: The answer is simple. We, the people of PoGB (Pakistan occupied Gilgit-Baltistan), have a long experience of 69 years of Pakistani conspiracy against the indigenous people. In the 21st century, we are deprived of even basic rights. We donâ€™t have the right to vote, we donâ€™t have the right to free speech and we also donâ€™t have the right over our own resources and land and we donâ€™t have the right to justice. Q: Reports in Pakistan media and the statement of its officials suggest that your party, Balwaristan National Front (BNF), does not represent the people who are living in Gilgit-Baltistan. How would you respond to this accusation? A: If BNF does not have any following then why is the occupation regime of Pakistan so afraid of us? Why has it banned BNF and why has it detained more than 15 workers and imposed terrorist charges against them and framed them as Indian agents. To know the following of BNF and other nationalist parties of PoGB, a referendum should be held under an impartial body but not under the occupation of Pakistan and its forces. We will accept the result of the referendum if the majority of the people opt for staying with Pakistan. But Pakistan knows that the people of POGB willÂ not vote in its favour. I challenge the Pakistanis to be courageous and hold a referendum, if they feel that the residents of PoGB are with them. Q: Are you convinced that the residents of Gilgit-Baltistan, if it happens, will welcome Indiaâ€™s direct and official intervention in the region? If yes, what do you suggest India should do as the initial step? A: After long negligence and ignorance, it will take some time or years for India to do its homework on PoGB. India should take the issue of PoGB boldly and support them fully, both diplomatically and politically and should give this enough space in its media. Today Indians donâ€™t know the legal position of PoGB and even donâ€™t know whether itâ€™s disputed or not. Some BNF prisoners in front of the Anti-Terrorist Court in Gilgit for hearing. Q: The China-Pakistan Economic Corridor (CPEC) has been marketed by Pakistan as a â€œgrand- stepâ€ that will change Gilgit-Baltistan. How would you respond to this assessment by Pakistan? A: After a few years, Pakistanis will cry and weep like the way we the people of PoGB did, after our elders did a mistake on 1 November 1947 by fighting against the Maharajaâ€™s forces. China will never withdraw its forces from Pakistan and if, in the future, any Pakistani demands that from the Chinese troops, China will demand the whole money along with interest, otherwise they will remain in Pakistanâ€™s territory and will subdue Pakistanis as a whole. Q: You have also spoken about how dissent is being crushed in the region by using Schedule 4 of the Anti-Terrorism Act. Do you have any evidence to support your claim? A: My own party workers are in jail under Schedule 4, along with more than 1,500 people of PoGB. Pakistan and India, it seems, have a joint strategy to black out human rights violation happening in PoGB, I am sorry to say this. The world media is either ignorant or it is intentionally neglecting the grave human rights issue of PoGB. 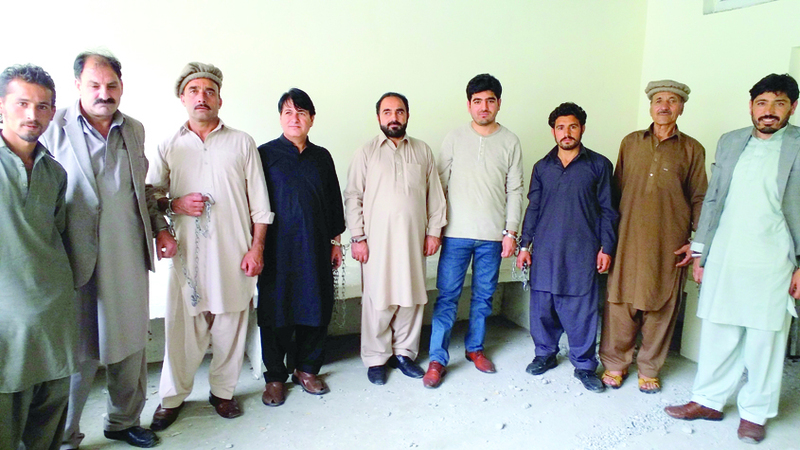 BNF leaders and workers, who demanded freedom and opposed CPEC, have been arrested and tortured by JIT and then imprisoned under terrorism charges. Pakistani media and the media in PoGB and PoK are totally under the control of the ISI and have no courage to utter a single word without its permission. The only free media, Kargil International and Daily Baangeshar were banned and the editor of Baangeshar is in jail ater being accused of being a terrorist, because he dared to write about the grave human rights situation of PoGB. The Indian media only mentions PoK and Balochistan, but not PoGB and when it does, it does not say â€œPakistan occupied Gilgit Baltistanâ€. The people of PoGB, PoK and even Pakistan do not consider PoK as a part of PoGB. PoGB is the most important area of the dispute; it is seven times bigger than PoK in size, itâ€™s strategically the most important (itâ€™s the only area which provides physical link between China and Pakistan and it has borders with Afghanistan and Tajikistan) in the whole J&K issue. It has huge resources including water, gold and uranium. Itâ€™s the area which provides the lionâ€™s share of water by the Indus river that cultivates Punjab and Sindh besides Khyber Pakhtunkhwa. Itâ€™s the area where Pakistan and China are benefiting by ignoring the demands and rights of its inhabitants.